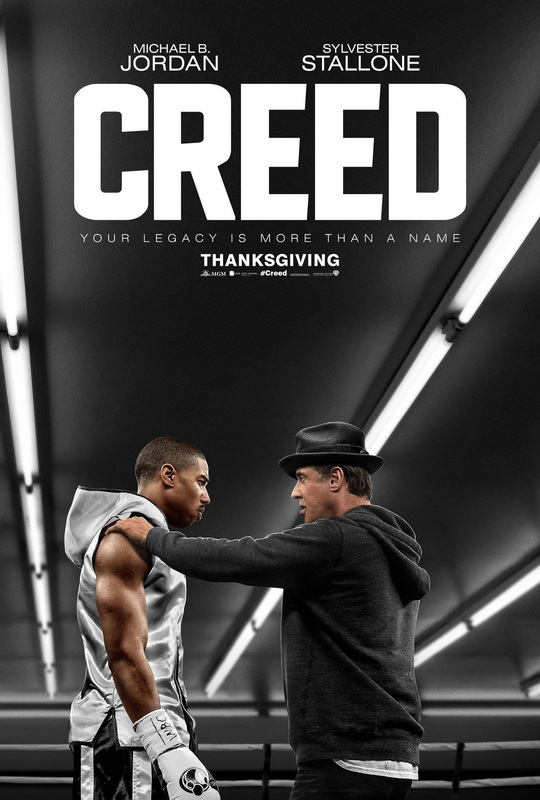 Synopsis: Adonis Creed is the son of the legendary boxer Apollo Creed, and when he realises he wants to emulate his father and become a professional boxer, he seeks out his father’s old rival, the one and only Rocky Balboa, to train him. Review: You would think when a film series gets to its seventh instalment, that it’s possibly running out of ideas and that it may be time to put the series to bed. Yet certain franchises keep roaring on with some making over a billion dollars at the worldwide box office. While not quite making those mega bucks the likes of Star Wars and Fast and Furious has been making, the Rocky franchise has come out fighting with a remarkable revival and has reinvigorated the it when many thought it was on the ropes and down for the count for good. The main focus of this new chapter is on that of Adonis “Donnie” Creed, played by Michael B Jordan who despite being in a decent well paid job, strives for something different, namely to become a legendary fighter and to emulate the great achievements of his father. With six chapters coming before it, the production team behind the film had a choice, do you go with the established formula that the previous films set out, or try to reinvent the wheel and start fresh. Thankfully, the decision was evidently made to go with the former and tread familiar ground by using most of the notes from mainly the very first film in the franchise, and it does this in glorious fashion, providing a brand new Rocky for a brand new generation. With the abysmal critical and commercial failure that is Fant4stic unfortunately attached to his CV, Michael B Jordan really shows us what he’s all about as the titular character. He’s driven and determined, but at the same time, feels weighed down and somewhat insecure by the name that he possess and also the legacy of his father. His breakthrough role came with 2012’s Fruitvale Station (which Coogler also directed) and with this, he truly cements himself as one of the finest young actors working today. It is his movie, and he owns it, and was mighty unlucky not to land himself an Oscar nomination for Best Actor. Stallone as Balboa, in arguably the role that also made his name in Hollywood, is equally tremendous and gives quite possibly the finest performance ever in his long and illustrious career. The sheer enthusiasm of the young Creed gives him a new breath of life, after watching all those he loved slowly fritter away, and when Creed is offered a massive opportunity, it spurs Rocky on even more to see the young fighter succeed. Stallone has been getting nominations and awards aplenty, and a well deserved Oscar nomination too. Coogler’s passion for the franchise is very apparent, and through his expert direction and the striking cinematography, the fight scenes are tremendously well handled. They’re extremely gripping to watch as you will Donny to succeed in his fight against some extremely obnoxious opponents. As the audience, you want him to succeed in his quest to become as good as his father was. A perfect example of the underdog story, using the benchmark that was laid down by the first movie, and done right is just about every way possible. This re-imagining of the 1976 classic ensures that franchise is once again pulling punches aplenty, and will probably have a lot more fights in it in the years to come. 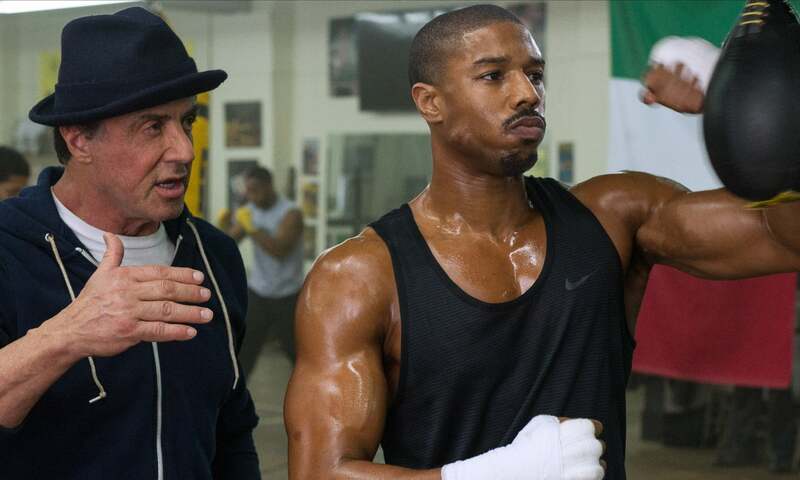 Uplifting, powerful and gripping, producing arguably career best performances from both Jordan and Stallone, Coogler has maybe given the franchise its best movie yet.